Tempano - "The Agony And The Ecstasy"
Venezuala’s Tempano has had a long history. They started out in 1977 as a young progressive rock band influenced heavily by Latin American folk and jazz. Like many of the more adventurous bands of the 70’s, in order to survive in the 80’s, they morphed into a pop rock group, and suffered various personnel changes, before breaking up near the end of the 80’s. The core of the original line up (Pedro Castillo on guitar, synths, loops, Mellotron, and vocals; Guiglio Cesare Della Noce on keyboards and atmospheres; Miguel Angel Echevarreneta on bass and classical guitar, and Gerardo Ubieda on drums and percussion) got back together in 1998, and returned to their prog rock roots, albeit with less of the Latin influence. Despite their roots in the 70’s, Tempano is a very contemporary sounding progressive rock band, along the lines of The Flower Kings and Spock’s Beard. Their latest, The Agony and the Ecstacy, is a loose concept album that abounds with references to the Italian Renaissance, not the least of which is the beautiful art that graces the cover and CD insert. The album consists of several pretty good vocal tracks tied together by an incredible tapestry of truly amazing instrumental pieces. The vocal tracks showcase a bit of the band’s remaining pop sensibilities, although definitely with enough complexity and changes that it can still be called prog rock (the lyrics are all in English-with some spoken word bits, as on Attimo Infinito, in Italian). I’m reminded occasionally of some of the more pop influenced Spock’s Beard tracks in these instances, especially on Just in a Second. One vocal track that is definitely not pop is Il Duomo, a rhythmic, complex piece with great guitar work and a crazy shift into a section that features something that sounds like a banjo! But in the end, it’s the instrumental tracks that are The Agony and the Ecstacy’s biggest strength. Weaving around the vocal tracks, stitching them together into one whole work, the instrumentals range in length from the lovely classical guitar of Gigante, which is just a few seconds shy of a minute, to the 10 minute long album closer, the dark, powerful, and with its eerie atmospherics, almost experimental Conspiracion. Woven through with classical, jazz, and ambient influences, the instrumental tracks often flow one into the next, lending to the conceptual feel of the album. So rich and diverse and colorful are these pieces, that one truly gets the sense of some Renaissance mind at work, as it conceives and creates a grand masterpiece. 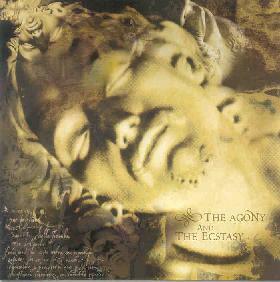 The Agony and the Ecstacy is a fine album, sure to please prog rock fans of any era. For more information you can visit the Tempano web site at: http://www.tempano.com. The Agony And The Ecstasy is distributed by Musea Records. You can visit their web site at: http://www.musearecords.com.